Respiratory conditions like asthma, cystic fibrosis, or COPD often restrict you to your home to take the required breathing treatment. These problems tend to aggravate during the spring season. But the use of portable nebulizers sets you free from these respiratory restrictions. 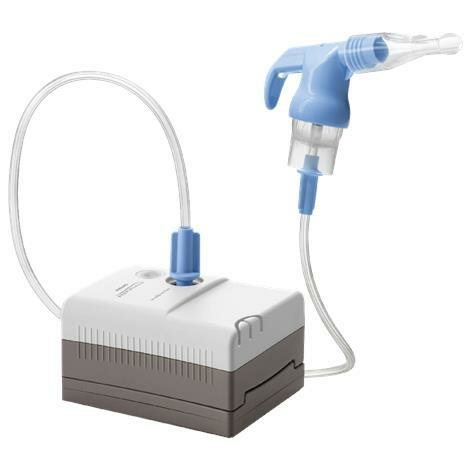 A typical portable nebulizer consists of a compressor to convert the liquid medication into an aerosol cloud, a nebulizer cup to hold the medication, and a mask or a mouthpiece to inhale the medication. The drugs inhaled in the form of a fine mist directly reaches the lungs and provide relief from the associated respiratory conditions. 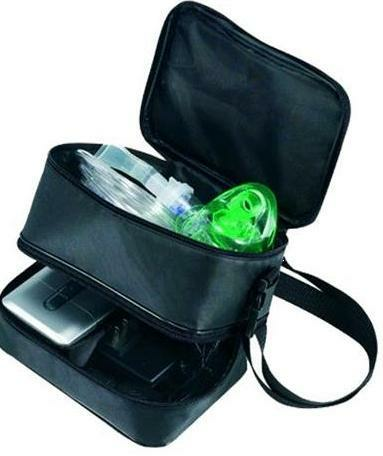 DeVilbiss Traveler Portable Nebulizer is an ideal travel nebulizer used for treating cystic fibrosis, asthma, COPD and other respiratory diseases that use liquid medicine. It consistently turns the liquid medicine into a mist and delivers it to the lungs in uniform concentrations. Consistent and concentrated delivery of mist penetrates deep into the lungs, delivering medication where it is required the most. Weighing less than a pound, its small and compact size is easy to carry for people on-the-go. Its multiple power options, i.e. 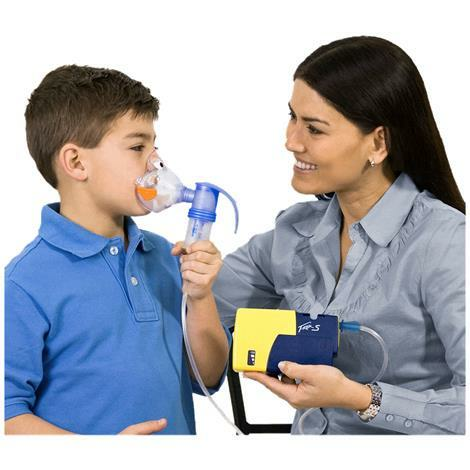 AC, DC, or optional rechargeable battery make it easy and convenient to nebulize while traveling. 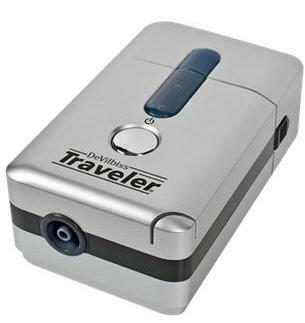 What does Traveler Portable Nebulizer include? Pari Trek S Portable Compressor Nebulizer is one of the best handheld nebulizers that provides fast and effective aerosol treatments anytime and anywhere. Lightweight nebulizer design, weighing less than 1 pound, and a handy carrying case make it an all-time favorite for people with an active lifestyle. Pari Trek S compact portable nebulizer delivers a consistent particle size for optimized delivery of medication and to ensure minimal drug wastage. 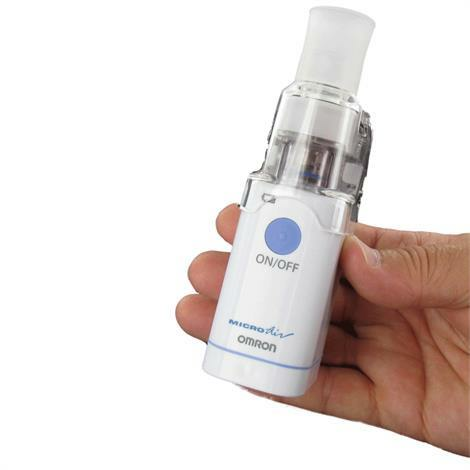 Its versatile power options like AC adapter, DC adapter, and optional rechargeable battery adds to the freedom of taking aerosol treatments wherever you want. 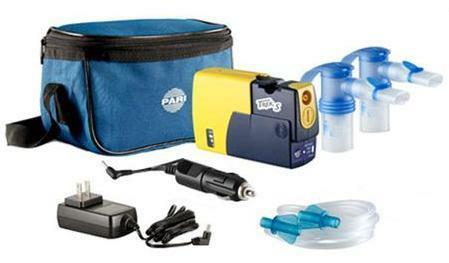 What does Pari Trek S Portable Handheld Nebulizer include? 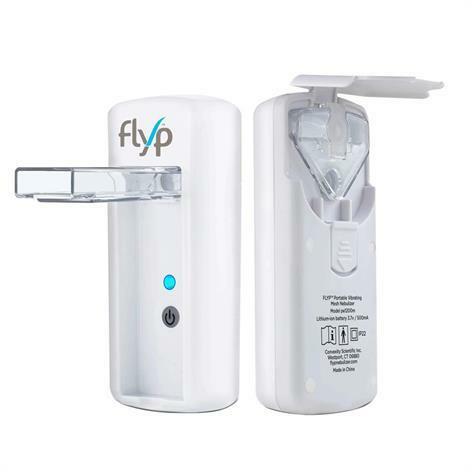 Flyp Nebulizer with Vibrating Mesh Technology is one of the smallest portable nebulizer machines for asthma, COPD, and other respiratory conditions. Lighter and smaller than a smartphone, it simply disappears in a pocket. 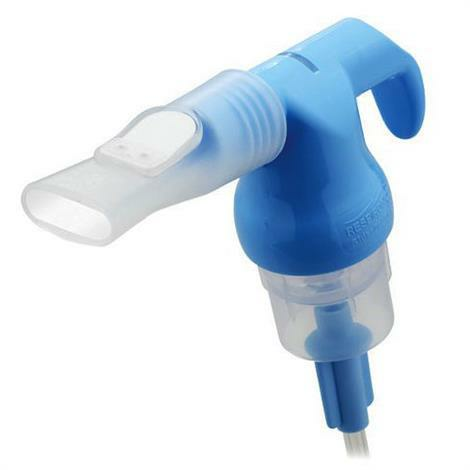 This all-in-one pocket nebulizer helps you breathe freely – Just fill, click and breathe! 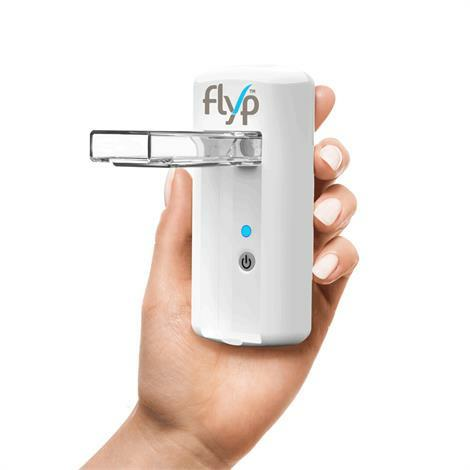 While other nebulizers can take up to 20 minutes to dispense a standard dose of 3 ml, Flyp can deliver the same amount in about 7 minutes. It uses Hypersonic technology to provide whisper-quiet operation. Designed without cumbersome control units or tubes to get in the way, you can easily use this quiet nebulizer compressor while traveling. A quick recharge via USB port can last up to ten treatments. 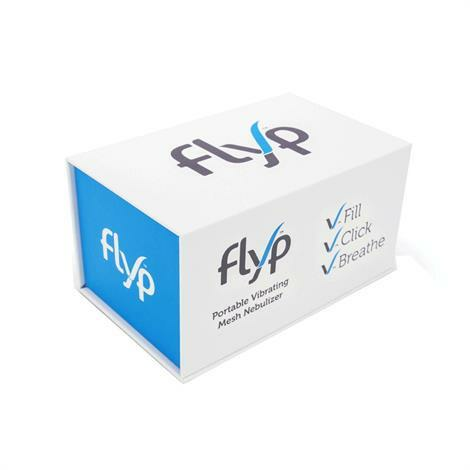 So, with Flyp you can always tuck your next breath in your pocket while going out! 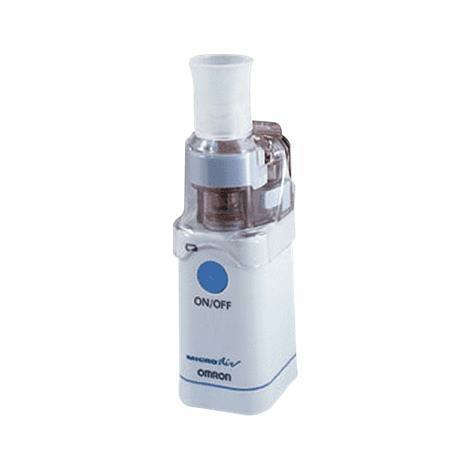 Omron MicroAir Portable Nebulizer is a hand held nebulizer machine that converts liquid medicine into an aerosol cloud for inhalation. This super small nebulizer weighs only 6 oz and can fit discreetly in your palm. The use of revolutionary vibrating mesh technology allows it to provide a precise, powerful, and effective treatment of 2.5 mg in 2 minutes. Its tubeless and cordless design helps you take control of your respiratory condition wherever you go. It can be easily taken anywhere without the hassle or the embarrassing noise of tabletop nebulizers. 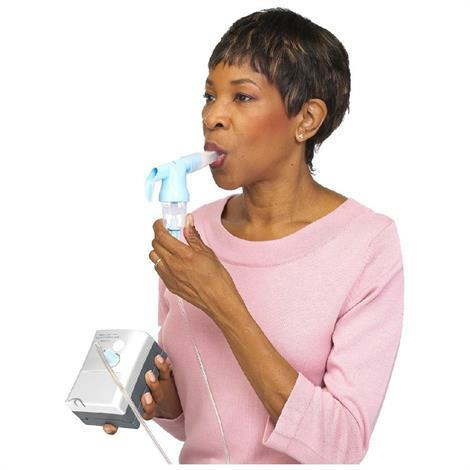 What does MicroAir Portable Nebulizer include? InnoSpire Mini Compressor Nebulizer is an ideal traveling companion that lets you nebulize most commonly prescribed liquid medications whenever and wherever you want. Weighing less than a pound, this compressor nebulizer easily fits in a purse or backpack. SideStream Plus technology allows you to have highly efficient aerosol therapy in fast treatment times. The versatile power options of AC and DC power supply keeps it ready for use at home or on the road from the cigarette style sockets found in most of the cars, trucks, boats, and other vehicles. Optional rechargeable battery adds to the convenience when adventures take you away from fixed power sources. 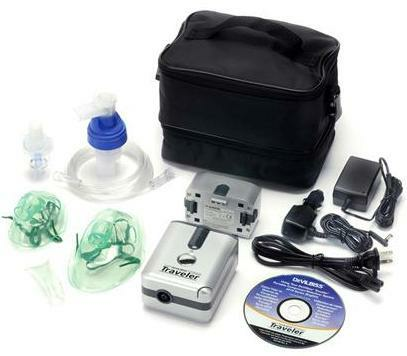 What does InnoSpire Mini Compressor Nebulizer include? Buy portable handheld nebulizers and keep yourself free from all respiratory restrictions while you travel. 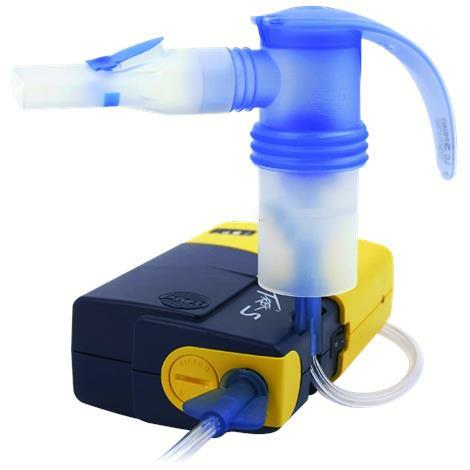 To explore more about portable nebulizer machine brands, visit our website shopnebulizer.com.